If you have dry, acne-prone skin, you know how hard it is to find a cream to address all your concerns at once. Most people associate acne blemishes with oily skin, so most acne skin care products are also formulated to feel light and non-cloying to oily skin types. But the truth is that many dry conditions (such as rosacea) can cause acne breakouts, leaving skin both dry and broken out. This means that many acne products don’t work well for dry, acne-prone skin, as they don’t provide the soothing or moisturizing actions necessary to care for skin that is both dry and prone to blemishes. Our answer to this problem is Real Barrier Cicarelief Cream. Along with ATOPALM’s classic MLE, Cicarelief Cream is formulated with calamine, panthenol, and madecassoside, and it’s 40% off for a limited time only. This incredible blend of calming ingredients provides a soothing experience like nothing else which will diminish redness and inflammation, and begin the blemish healing process. 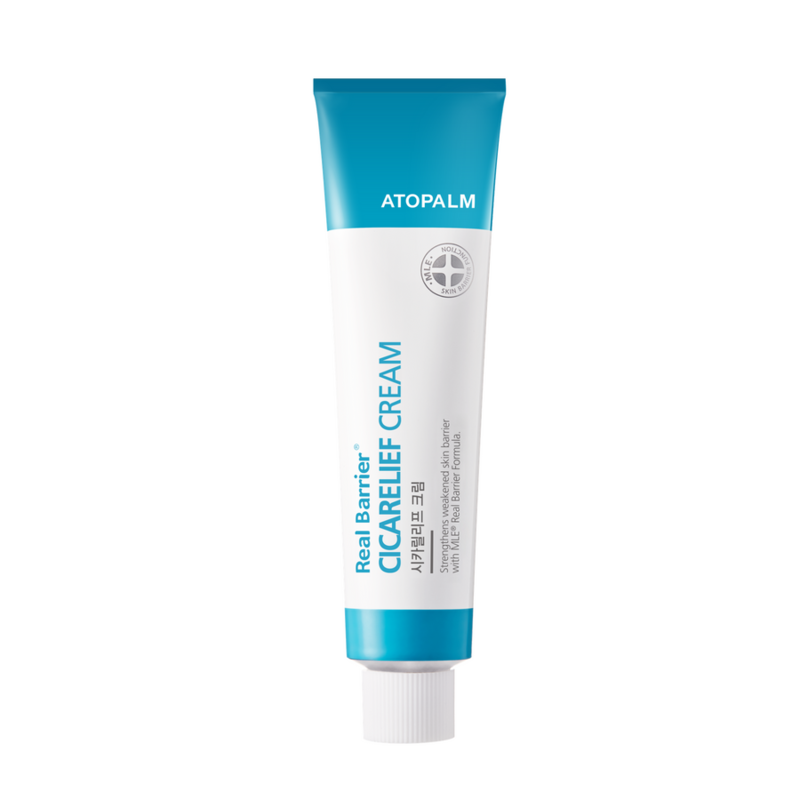 Use it as a spot treatment on individual blemishes, or on larger areas for very acne-prone skin. Cicarelief Cream can also be used after minor dermatological procedures, on itchy skin ailments like poison oak and bug bites, or as a daily moisturizer for severely sensitive skin types. It is a truly versatile formulation that deserves a place both in your skin care routine and in your first aid kit. Purchase Cicarelief Cream today to save 40% off the retail price!